Discussion in 'UFC Discussion' started by iLikeBirds, Aug 20, 2015. Must be something to do with UFCs new drug te- I mean corn nuts policy. He definitely looks less muscular and defined compared to normal. Jeez. Gadelha really is a huge SW.
No, that's weigh in Erick Silva. Why do you guys care so much what other dudes look like? Wouldn't in be more logical to compare his upcoming weight-in pic?? 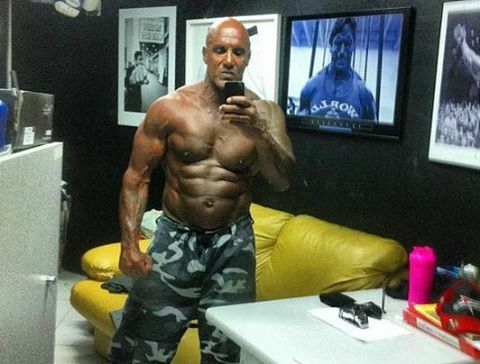 damn, that's quite a drastic change in body. lol, I thought I was the only one to catch the resemblance in the face. hmmm....that looks like 170 lb. Erick Silva next to 195 lb. 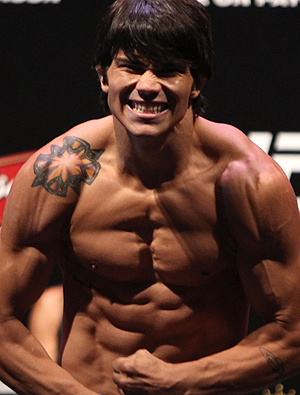 Erick Silva. I expect to see quite a few drastic body changes in the next year, and some guys dropping weight clases mysteriously.